The Phone Co-op Social Enterprise Start-Up and Expansion Fund has been introduced to provide resources to social enterprises, charities or co-operatives to help them at crucial stages of their development. The Fund will offer support in the form of credit on a charity's or enterprise's Phone Co-op bills, which can then be used to pay for any telecommunication service provided by The Phone Co-op. £10,000 has been initially allocated to the Fund. Applicants can be based anywhere in the UK. Successful social enterprises applying to the Fund will be allocated £250 credit which can be used to purchase the following services provided by the Phone Co-op. There is no stated requirement for match funding. o Be taking on additional Phone Co-op services as a result of expansion. Successful applicants are expected to commit to using The Phone Co-op's services for a minimum of 2 years. In addition, if the applicant has been advised by a recognised social enterprise business advice agency, such as a Co-operative Development Agency, they will be granted a credit account without having to go through a credit check. The Social Enterprise Start-Up Fund is a rolling programme and applications may be submitted at any time. For further information about the Fund and how to apply, visitThe Phone Co-op website. The former head of finance at Welsh community regeneration charity NSA Afan has been jailed after stealing £54,000 from the organisation. The Lloyds Bank Foundation’s Invest Programme provides funding for core organisational costs that directly relate to the day to day running of charities or CIOs (Charitable Incorporated Organisations). Funding is also available for costs associated with the direct delivery of the charity's work. Grants of between £10,000 and £25,000 per year for 2 or 3 years are available, with the opportunity for continuation funding for a further period of 3 years, or 6 years in total. > At start or on completion of a community sentence. > On leaving institutional care. > Moving on from or reduction in support from Community Mental Health Teams. > From a position of having no accommodation (or being vulnerably housed). >At the point when an individual decides to break or reduce dependency. > When an individual decides to remove themselves from or assert themselves within an abusive/exploitative relationship. > At the point an individual decides they are able to address the impacts of being exploited or trafficked. > From the point of arrival in the UK or on granting of refugee status. > For young parents aged under 21 on becoming parents. > A significant change in the circumstances of the carer or cared for person. > At the point of transition to residential care. Applicants must be able to report both the number of people who have achieved one or more of the specified Transition Outcomesand the number of people achieving one or more of the specified Progression Outcomes. o Better able to manage their mental health issues. o Be able to report the number of people achieving one or more progression outcomes. There is quite a long list of items that are not eligible as part of the Invest Programme. We suggest you use the Eligibility Checklist on the Foundation's website to determine whether you are able to apply. 3. If invited to continue in the process, applicants will be visited by their local Grant Manager and asked to complete and submit a full application. The deadline for initial applications is Friday 18 May 2018. Further information about the Lloyds Bank Foundation and the Invest programme is available on the Foundation’s website. An eligibility map checker will be available in the coming weeks. The first round of funding will open on 30th April 2018. Bydd map gwirio cymhwysedd ar gael yn yr wythnosau nesaf. Bydd y rownd gyllido gyntaf yn agor ar 30ain Ebrill 2018. Community organisations, disability groups, sports clubs, schools and associations in the United Kingdom may apply to the Dan Maskell Trust for a grant of up to £1,500 to enable people with a disability to play tennis. o Grants for starting a disability group, a club programme or a project or help with an existing project or programme. Examples of items that will be considered under this scheme are help towards court hire, coaching fees and equipment (if not applying for a kit bag as above). All programmes and projects should aim at becoming self-financing and sustainability. PLEASE NOTE: the Trust expects applicants to make a contribution towards the cost of purchasing wheelchairs. Other than this, there is no match funding requirement. o 22 (2015, 27) monetary grants for various groups. o People with a learning disability. o Transport costs for individuals. Before applying to the Trust for grant support, applicants are advised to consult The Tennis Foundation and/or their local County Tennis Association. Application forms are available to complete online on the Dan Maskell Trust's website. The Hilden Charitable Fund’s priority is to address disadvantage by supporting causes which are unlikely to raise funds from public subscriptions. Both the UK and overseas fund policy is directed largely at supporting work at grassroots community level. Each year the Fund also sets aside a small budget to help community groups run summer play schemes for the benefit of disadvantaged children. Details of this scheme is provided in today’s right hand column. Funding is available to UK charities working in the UK or in the developing world or charities that are based and working overseas. Applications will also be considered from Community Interest Companies that are able to evidence a charitable purposes. o Community based initiatives for disadvantaged young people aged 16 to 25 years. The Fund particularly welcomes projects that address the needs and potential of girls and women. The average grant is £5,000 and can be for more than one year. During the year ending 5 April 2017 Hilden awarded 105 grants totalling £477,013. Details of awards made during the year can be found on pages 4 and 5 of the Fund's annual accounts. Grants can be used for both project and general running costs. PLEASE NOTE that this a hugely competitive grant programme in which just 11% of all applications are successful. There is a requirement for match funding and applicants are requested to show what other sources of funding have been sought and secured. o Have less than 12 months cash reserves. o Be able to show that their overseas partner had an income of less than £50,000 in the last financial year. o An income of over £25,000 in their last two financial years, but no more than £100,000. Funding is directed largely at supporting work at a grassroots community level. An application form is available on the Hilden Charitable Fund website (you'll need to scroll down the page to the relevant link). but must then be printed out and sent as a hard copy by post to the Fund. COMIC RELIEF are very pleased to announce the launch today of a £4 million grant initiative to support organisations that are working to end violence and abuse experienced by women and girls across the UK. The application phase will run from 17 April to midday, 2 July 2018. The initiative is funded by Comic Relief with the Department for Digital, Culture, Media and Sport (DCMS) and governments in Wales, Scotland and Northern Ireland, with government funds raised through the Tampon Tax. The funds will be fully focused on work that supports women and girls at risk of violence who have multiple and complex needs. This includes those who have poor mental health, who use drugs, and/or those who are homeless, as well as less well-served communities or groups, such as BAMER, migrant and LBTI communities, and/or women who are older and/or disabled, among other groups. • Enable organisations to better support women within the target group. • Showcase how women’s lived experience can inform the design and delivery of services, practice and policy. • Provide opportunities for projects to try out new ways and models of working, for example by acting earlier, building community assets or using digital approaches. • Enable cross sector partnerships to work together to provide high quality support. • Support approaches that can provide learning for other organisations and stakeholders across the sector. • Improve access to support for women with complex needs in less well-served communities, such as BAMER, older women, LBTI, disabled women. To apply or find out more about the fund criteria and process, including detailed guidelines for applying, please visit the Comic Relief initiative page. Further questions can be emailed to our team via our contact page. The Noel Buxton Trust has a long-standing concern for the welfare of both families and prisoners, and its work in Great Britain continues to focus on these areas. In Africa, the Trust seeks to support community-led organisations working to build local sustainable livelihoods. In all three areas, the Trust has an interest in funding work which does not easily attract funding from other sources. o Projects that the Trust believes will help to break down the stigma and discrimination that many offenders face. 1. Family Grants - the maximum grant is £5,000 per year for up to three years, preferably outside of London and South East England. The Trust's focus is on funding for families on the issue of domestic abuse. The Trust will consider projects that work with survivors and/or perpetrators of domestic abuse. o Grants of up to £4,000 per year over two to three years, particularly where a guaranteed on-going contribution is going to make a difference to the sustainability of a programme or activity. The Trust supports local campaigning organisations, self help groups and service providers in their committment to the rehabilitation of offenders for the benefit of both the offender and society as a whole. o Activities that both help rehabilitate offenders and help build bridges through various benefits to local communities. 3. Africa Grants - the maximum grant is £5,000 per year for up to three years. The Trust will fund work in Africa, including Ethiopia, Kenya, Somalia, Uganda, Sudan and South Sudan. Within these areas, priority will be given to work with communities living in urban slums and semi-arid regions where economic hardship is most extreme. The Trust's Africa programme focus is on economic development rather than service provision. It favours work such as small business support and training, and microfinance in both urban and rural settings. Applications in support of initiatives that are building sustainable futures in the semi arid areas of Africa are especially welcome. The Trust also welcome appeals that support and protect street children, and help them find safe and sustainable livelihoods. The Trust like to see applications that enable successful practical solutions to be replicated or that aim to bring about relevant policy change through effective advocacy. It also likes applications that demonstrate a commitment to strengthening community based organisations and ensuring the voice of poor and marginalised women and men are properly heard and respected. There is no requirement for match funding for any of the Trust’s funding areas. The Trust prefers to support smaller, grassroots organisations and does not encourage applications from large and well-supported charities or branches of network organisations. o Under the Africa Grants Programme funding is not available for any work outside the areas listed as the geographical focus. o Under the Family Grants Programme funding is not available for older people or work in women’s or men's refuges. o Under the Penal Grants Programme funding is not available for overseas projects or youth projects. Applicants should submit a short letter (one to two pages) outlining the case for funding. Applicants should view the Trust's website and mention this in their letter as well as showing how the organisation's work fits the Trust's guidelines. o The charity registration number and the name of the organisation to which cheques should be made payable if different from that at the head of the appeal letter. o Latest annual report/accounts in the shortest available form. For further information, visit the Noel Buxton Trust website. The Wakeham Trust provides funding for UK-based projects that are small scale and are finding it hard to get funding from large grant-making trusts, or are currently unfashionable or unpopular amongst mainstream funders, but are making a real contribution to the local community. The Trust likes to support projects that encourage the empowerment of ordinary non-professional people. Small registered UK-based registered charities may apply for a grant award, which is usually between £125 and £2,500. A match funding contribution is welcomed. 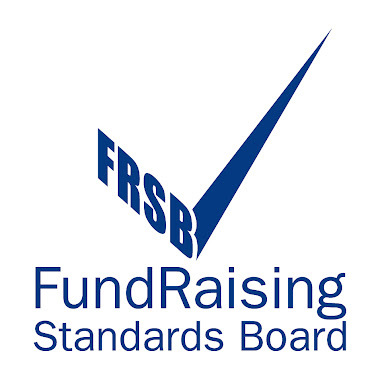 Organisations that are not registered charities are encouraged to make an application through a registered charity in their area that can then pass the money directly on to their project. o Is it outward looking, rather than being focused on its own members? The Trust is especially interested in supporting groups who are usually considered recipients of voluntary action (for example old age pensioners, refugees or young offenders) when these people become involved in helping other groups in the community as this empower the volunteers themselves, as well as supporting the project they are working on. o A project to help teach English to refugees and immigrants who want to work in the social care sector, in Chard in Somerset. o Individuals, including to go on a gap-year community service project overseas. Applications may be submitted at any time, ideally by email using the email address provided below. 4. Details of the project. Who does it help? How big is it? Is it new, or already established? 5. How much money is being requested from the Trust? 6. What would the money be spent on? Applicants should give a rough breakdown and overall budget. 8. Has the applicant ever received a grant from the Trust before? Further information about the Trust and how to apply is available on its website. The new EU Procurement Directives made provision for the introduction of an ESPD which is intended by the European Commission to remove some of the barriers to participation in public procurement, especially for SMEs. The ESPD is a self-declaration of a potential supplier’s' financial status, abilities and suitability for a public procurement procedure. It mainly serves as preliminary evidence of fulfilment of the conditions required in a public procurement procedure. Bidders will no longer have to provide full documentary evidence and different forms previously used in EU procurement, which means a significant simplification of the tendering process. The ESPD will replace the requirement for suppliers to provide up-front evidence or certificates by allowing them to self-declare that they meet the relevant selection and exclusion criteria. Bidders may be asked to provide proof of this at a later stage and the winning bidder will usually have to provide proof before contract award. Buyers will set out their selection and exclusion criteria, including any minimum standards and methods for short-listing in their contract notice. They will then issue an ESPD request and make it available for anyone interested in bidding for the contract. Bidders will complete and submit their ESPD response to the buyer, who will assess the suitability of all bids against the criteria they have selected. The ESPD will offer an alternative to the selection questionnaire, and should make the process of bidding for a public contract easier. Its purpose is to remove some of the barriers to participation in public procurement, particularly for SMEs who often don’t have the resources (time/money) to complete complex tender documents. The Selection Questionnaire method was popular because buyers tended to ask questions in the same, or similar, ways. The ESPD will actually build upon this as the same standard form is now being used across Europe. Will a new ESPD have to be submitted for every tender procedure? The same question set will be used across the EU, so a bidder will be able to re-use a form which was previously submitted for a separate competition, so long as the information is still up-to-date. However, every time a supplier submits a bid, an ESPD request will have to be submitted as well. It will be in the supplier’s interest to configure each ESPD to suit the requirements of that individual procurement exercise. How Will the ESPD be checked for accuracy? By law, a winning bidder has to submit all of the required certificates and documentation, before they are awarded a contract. Bidders can be asked to submit their evidence at any point in the procurement process if this is necessary to ensure that the process is carried out properly. - If a bidder is in breach of one of the areas which is a mandatory ground for exclusion, or if it does not meet one of the minimum selection criteria, then that bidder must be excluded from the competition. Depending on the nature and stage of the competition, that may mean either that it continues without that particular bidder, or the competition should be re-run without that bidder’s tender. - If it emerges that a business is in breach of an area which is a discretionary ground for exclusion, then the decision about whether or not to exclude that bidder will be up to the buying authority. This decision must be in line with the EU Treaty Principles of transparency, proportionality, equality of treatment and non-discrimination. - If the issue is more administrative in nature (e.g. mistakes in providing the documentation), then the authority will have the option of inviting the bidder to make amendments to, or clarify the documentation provided. Will the ESPD affect sub-contractors? If a bidder wishes to sub-contract part of a contract, and relies entirely on the sub-contractor in order to fulfil the selection criteria, a separate ESPD must be submitted on behalf of the sub-contractor. The buying authority may choose to request a separate ESPD from any other sub-contractor, in order to verify whether or not there are grounds for excluding it. If a sub-contractor is in a situation which would lead to its mandatory exclusion, the bidder will be required to replace that sub-contractor. It’s really important the suppliers plan for this scenario early in the process by engaging with sub-contractors and obtaining information early on during the procurement process. The Music in the Community grants programme is provided by Music for All, the charity of the UK musical instrument industry. Music for All's overarching objective is to “make more musicians and to enable and inspire more people to discover their mental and physical benefits that playing a musical instrument can bring'”. It aims to achieve this by providing small grants to local initiatives across the UK that are seeking to bring music to their local community. Funding is available for groups that need assistance to fulfil their potential in developing genuinely sustainable music programmes. o Helping to find ways to integrate many diverse and minority groups positively into society. Music for All aims to allocate around £50,000 in grants annually. o Applicants who have been awarded a grant in the last 12 months. There are three application deadlines each year. The next deadline is Sunday 1 July for projects to start from September the same year. The deadline after this is Friday 1 February for projects that should start from April 2019. Further information about the scheme, together with an application form, can be found on the Music for All website.